'Dunsmuir' (Bob Brown, R. 1991). Seedling 86-36. TB, 36" (91 cm), Midseason late bloom. 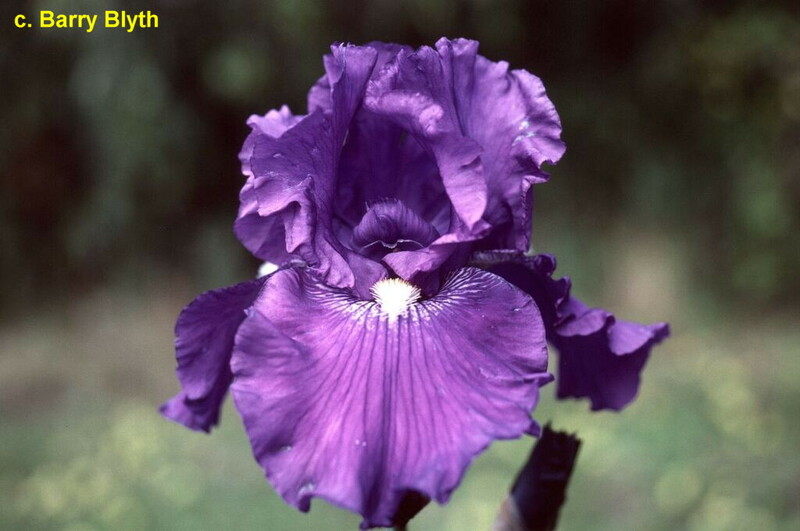 Dark red purple (RHS 86A); beards near-white. 'Titan's Glory' X seedling 81-23: ('Night Hawk' x ('His Lordship' x ('White King' x 'Royal Gold'))). Cottage 1992. From AIS Bulletin #284 January 1992 Introducing DUNSMUIR (Bob Brown, 1992). T8, 36", M-L. Lovely dark red purple self, nicely formed flowers, near white beards adding a stately appearance. Sdlg. 86-36: Titan's Glory X Sdlg. 81-23: involving Night Hawk, His Lordship, White King and Royal Gold. $35.00. Cottage Gardens.